The art of quilting has been going on for centuries. Our grandmothers used to make quilts for women for their wedding trousseau, and their grandmothers before them. In fact, the first quilts, quite similar to the ones we make today, was made in ancient Egypt. Every civilization and culture have different designs and traditions for their quilts, but they are all made with the same emotions and love. Even in the days of commercially produced blankets and comforters, people still love handmade quilts. They are in fact, one of the most amazing gifts you can give someone. Some people, especially people who love to sew and design, still make quilts for their loved ones as a gift. Handmade quilts are great gifts for newborn children or as a wedding gift. If you are interested in taking up quilting as a hobby, or if you want to make it into a business, these are the steps you need to take, important tips for you especially if you are a beginner. You are going to need a large working space for a quilt, the bigger the better. Even if you are going to make a baby quilt, you need a large space. 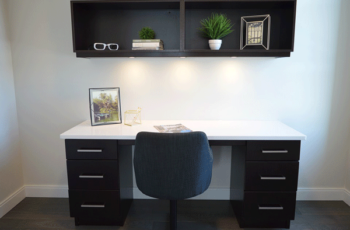 A large table – like a dining table – could be a good option, but it also means that you won’t be able to use the table for anything else until you have finished the project. This is because you won’t be able to remove your whole project from the table without messing the pieces up. The best option is to take up a secluded part of your home and set up a table there, left untouched until you have finished making your quilt. For your first project, start with something small. A quilt for a baby or as a decorative couch throw, but nothing bigger than that. IF you want to start with a full-sized quilt, you might not be able to finish it as your first project. A smaller quilt will not be very heavy or won’t confuse you a lot, and you will be able to finish it quickly and start on the next one. Start with the easiest type of quilts for your first project: a patchwork quilts. A patchwork quilt is made by joining small square pieces of different designs together. They are the easiest to handle since all the pieces are of the same size and easy to sew together. Besides, you can make the square pieces any size you want to, whatever is the easiest for you. In the other types of quilts – applique quilts, Amish quilts or wedding ring quilts – there are different shapes and sizes of fabric pieces to handle, as well as different stitches. For your first project, you’d want something simple. You can make a whole quilt using your hand or a manual sewing machine, but it is going to take a lot of unnecessary time and effort. 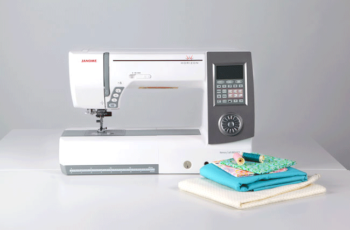 The right sewing machine, on the other hand, will make the whole project faster and easier, leaving you with a lot of energy for the next project. For making a quilt, you have the option of either an electric or a computerized sewing machine. With an electric sewing machine, your stitches will be done easily with the help of electricity; all you’ll have to do is to control the machine with a foot paddle. However, with a computerized sewing machine, you can do much more than just sewing the pieces of a quilt together. You can embroider colorful designs on the quilt, choose different stitches from the hundreds of in-built ones, or even download embroidery designs from the Internet that will be automatically duplicated on your quilt. Prepare all the different pieces together. You are going to need three different types of fabric pieces for a quilt: the top pieces, the backing and the batting. The top pieces are the colorful square pieces of fabric that will make up the top design, and the backing is the fabric at the back. The batting is the thicker piece of cloth that goes between the top pieces and the backing, made of either cotton or polyester. This is the part that will provide warmth to the user. You can start once you have all the three different parts of the quilt, as well as the sewing machine and the other quilting supplies. Start small. Cut up the different patterns into large square or rectangle shapes – these are the two easiest shapes to handle and sew. Start by joining them together using your sewing machine. You can do this simply by choosing one of the basic stitches that come with your machine. Even electric machines come with a few in-built stitches while computerized ones can come with up to 200 in-built stitches. Join the colorful top pieces together, adding one at a time to the whole thing. Since your first project is ideally a small baby quilt, you won’t need more than 4X4 medium sized pieces for the whole thing. After you’ve completed sewing the top pieces together, you have to now bring all three pieces together. Lay the backing first on the table surface, and make sure it is completely flat. You can iron the backing to make it as straight and flat as possible. Next comes the batting. This also needs to be laid down flat on the backing, flattened with an iron. Although, if you are using a poly batting, you have to use a cold iron since polyester can shrink under heat. You can keep both pieces of clothes together by sticking safety pins into them or spraying basting spray. Always remember, your backing and batting has to be at least a few inches bigger than your top pieces put together. This is because if your top piece is unwillingly moved while you stitch it together, you’ll have extra cloth at all sides for backup. Finally, it is time for the top piece to come over the backing and the batting. You can stick it on the other two pieces with safety pins or Basting spray and the three pieces will stay together until you have sewn through them completely. You can iron all three pieces together again to keep them together. When your all three pieces are together, it is now time to sew them together. You can start from one side as you go on sewing around the borders of the square pieces on top. After you have joined all the parts together, you can start sewing around the middle so that the whole quilt is strong. You’ll need to close the sides of the quilt with a special double-lock stitch. This stitch is available in most computerized and electric sewing machines that is used exclusively used to close off borders. With this stitch, the edges will be completely blocked and no unwanted thread can escape. When you have secured all the pieces together, you can make additional designs on the top pieces. You can make shapes with other pieces of clothes and apply “appliques” on the top portion for designs, or you can use colorful threads to write a note. Computerized sewing machines can automatically sew words that you have programmed into the design, making your job easier. As you advance and get more experienced, you can add more complex designs to your quilt. Quilting can be a fun hobby for you, or a good way to make an earning. They can be a great gift too, for kids or for newlyweds, or a great memory for yourself. It may seem complex at first, but you will soon get the hang of it. If you follow the steps mentioned, you can start with a simple quilt and finish it quickly, and get on your next, bigger projects.